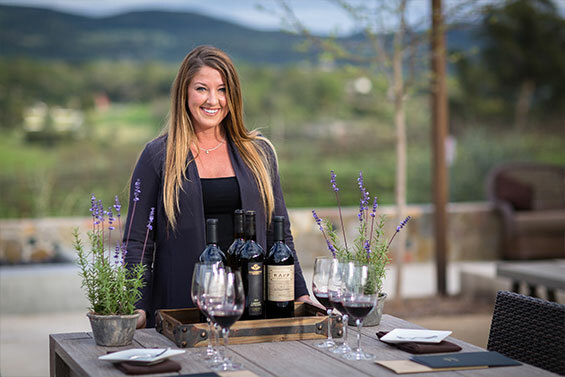 Upon arrival you will be greeted with a glass of wine and then shown to our tasting terrace overlooking the exquisite Rapp Ranch Vineyards and the surrounding Coombsville hills. Here your host will serve you 4 specially selected wines from the Shadybrook Estate and Rapp Ranch labels. Typically a 1 hour experience. For booking within 24 hours - please call for an appointment 707-255-5661. **During the months of harvest winery tours are not available. Groups of 9+ please email info@shadybrookestate.com to book your reservation. We are unable to accommodate anyone under the age of 21, including infants and children. Pets are not allowed on the premises. An experience for the sommelier in everyone. You will be seated on our tasting terrace for an estate wine tasting paired perfectly with an assortment of cheese, charcuterie, spreads, fruit and nuts. All this while overlooking the beautiful Rapp Ranch Vineyards and the surrounding Coombsville hills. Typically a 1 1/2 hour experience, the tasting will be comprised of 4 wines from the Shadybrook Estate and Rapp Ranch labels. 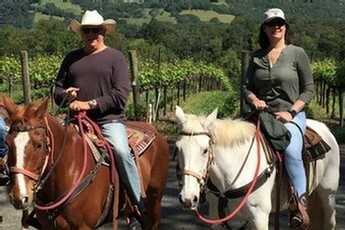 Come experience Napa Valley from the original rancher’s perspective - riding through the vineyards on horseback! This 30 minute trail ride is a fantastic way to take in the breathtaking vistas of the Rapp Ranch Estate and the surrounding hills of Coombsville. Unlike any experience offered in the Valley, our vineyard horseback ride coupled with our estate wine paired tasting, stand as a hallmark for any adventurers’ trip to Napa Valley. After checking in to the western barn, you will saddle up and an experienced trail guide will take you for a 30-minute ride through the vineyard. Upon return, you will find serenity sitting in our patio garden lounge overlooking the beautiful Rapp Ranch Vineyards and the surrounding Coombsville hills. Here you will be served a perfect pairing of estate wine with an assortment of cheese, charcuterie, spreads, fruit and nuts. 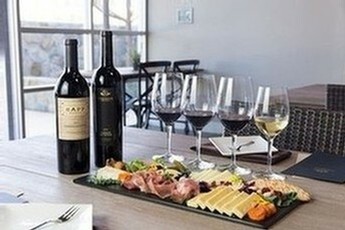 Typically a 2 hour experience, the tasting will be comprised of 4 wines from the Shadybrook Estate and Rapp Ranch labels. Indoor arena available during inclement weather. Come experience Napa Valley from the original rancher’s perspective – on horseback! This extended trail ride is a 50- experience around the vineyards of the Rapp Ranch Estate. You will take in the breathtaking vistas and surrounding hills of Coombsville all while guided by an educated wrangler. Upon return, you will stroll back to the terrace and be met with a refreshing well-earned glass of wine from you to enjoy while touring the crush pad, tank room, barrel room, bottling line and commercial kitchen. Now fully oriented with the estate, you will find serenity sitting in our patio garden lounge overlooking the beautiful Rapp Ranch Vineyards and the surrounding Coombsville hills. Here you will be served a perfect pairing of estate wine with an assortment of cheese, charcuterie, spreads, fruit and nuts. Typically, a 2 ½ hour experience, the tasting will be comprised of 4 wines from the Shadybrook estate and Rapp Ranch labels. Soak in the breathtaking hills of Coombsville with a private horseback ride around our Estate vineyard. Following the horseback ride, take a tour of our winery, have a chance to meet the winemaker and savor a barrel sample of one of our upcoming vintages. Finally, find yourself nestled high above the cellar overlooking the vineyard from our winemaker's overlook. 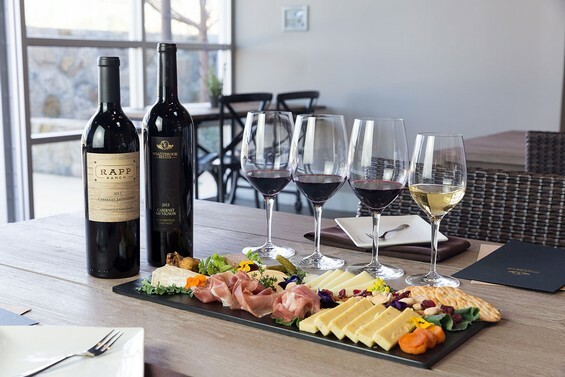 Here you will enjoy our estate wines paired with a variety of cheese and charcuteries finished with a custom desert for your special occasion. Perfect for proposals, anniversaries or any special occasion. Typically at 2 1/2 hour experience.